On 28 June 1914 a Serbian shot an Austrian. Within six weeks many of the countries of Europe had become involved in a war that was to cause the deaths of 10,000,000 soldiers. Why did this happen? Why did World War I begin in August 1914? Why did the murder of Archduke Franz Ferdinand lead to the outbreak of a major European War within six weeks? 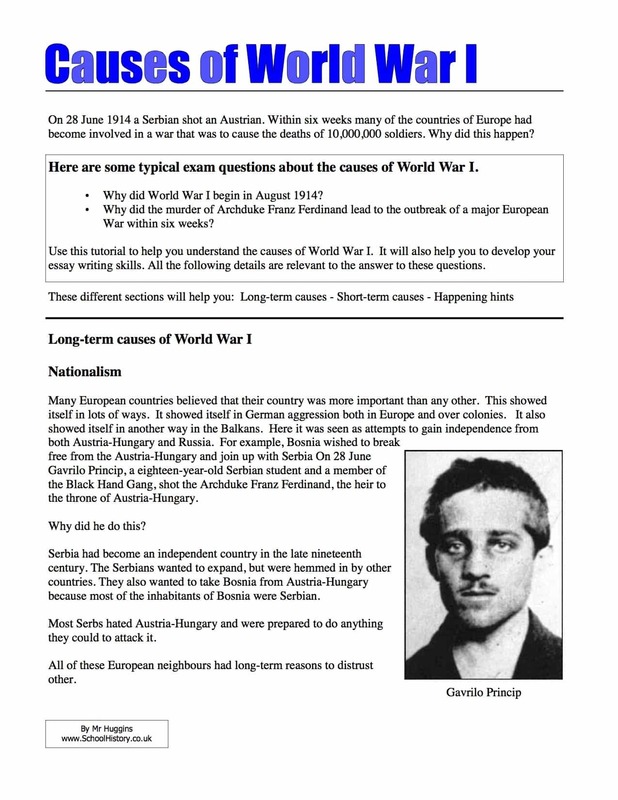 Use this tutorial to help you understand the causes of World War I. It will also help you to develop your essay writing skills.